Sheet Masks 101: For Skin That Looks Fresh As A Daisy! It seems like every time you get onto Youtube or Facebook, somebody has put up a Korean sheet mask trial video. They range from hydrating to age defining and our favourite the cute animal print ones – that are probably more fun than effective. These thin cotton sheets doused in special liquid serums/formulas are a great but temporary alternative to getting facials. Thinking of getting one yourself, to see what the hype is all about, well here is all you need to know about sheet masks before you try! Each face mask has its own unique formula, some claim to prevent acne, hide fine lines and even brighten, but what they do best is hydrate. Since the cotton mask in drenched in liquid goodness, they really do hydrate your skin. Depending on the quality and the brand, some Korean sheet masks can even give you that deep moisturisation that you need. If you’re a novice to all things beauty then these sheet masks are a dream to work with. They usually consist of just a few steps – apply, wait for stipulated time and remove. It maybe a little tricky at first to adjust to the sticky/moist mask, but you can’t really fail at application. These face masks remain intact and full off moisture so even if you need a few tries at putting it on, it’s still achievable. These masks are great for a quick at home refresher, but regardless of what they say on the packet you can’t compare a traditional facial to a sheet mask. Having said that, if you’re a girl who never has time to get regular facials, then using these once in a while is better than doing nothing at all. If you’re constantly travelling and find yourself in the air more than on land, then you are going to love these face masks. They usually don’t require you to wash your face or hands after use, making them ideal. They also, offer up that much-needed moisture, which your skin is dying for after a long temperature controlled flight. If you’re prone to breakouts and have oily skin, you probably don’t require the extra moisture. We suggest using them only when your skin feels clear and only on the sections of your face that aren’t oily or prone to breakouts. If you’re unsure how your skin will react, then try a small section and watch for any acne or bumps the following day. If you’re all clear you can enjoy a this face mask! They are called face masks more for the actual look rather than function. If you require exfoliation or deep cleansing then you should stick to those peel-off or wash-off masks that are actually more effective in treating various types of skin. Sheet masks are more topical and a quick refresher more than anything else. 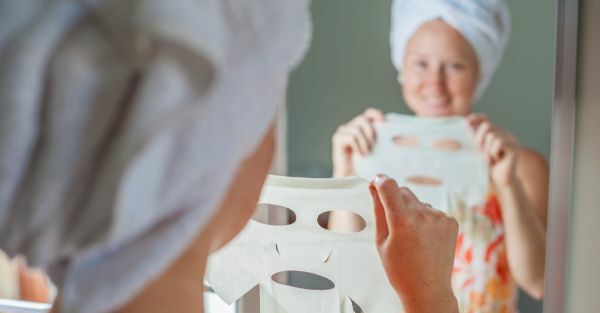 While just the one off sheet mask might seem like a relatively budget friendly buy, it could cost you a lot more than you think. If you want to use a sheet mask every day, then the price adds up. You could probably buy a really good facial mask product/cream etc for the same overall price. We suggest using a this face mask for days you really need a boost of hydration. Once a week is more than enough, stick to your tried and tested beauty products at other times. While they’re easy to put on once you get the hang of it, you can’t really do much once it is on there. Since it’s usually wet the whole way through, they tend to slip off if you’re trying to do too much. It’s best to lay down and relax while you’re applying a sheet mask. 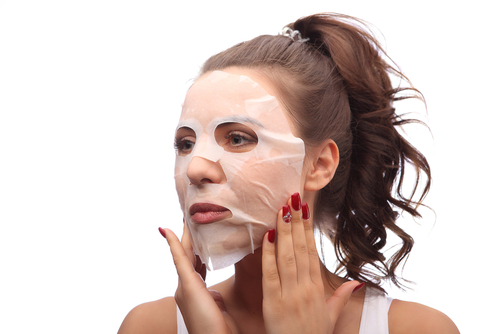 Since they are made of cotton and drenched in serum/formula, these face masks form a non-breathable barrier over the skin. This is good, as it forces the ingredients in the liquid to go into the skin. Acne prone skin needs to breathe all the time, which means they aren’t ideal for regular use if you’re prone to breaking out. Sheet Mask 10. They’re fun! If you love chilling with your bffs and having spa days, then you have to get your hands on the printed animal face masks. They are easily available and are a perfect addition to your next brunch and spa soiree. Not only will you and your girls have super skin but just imagine the fun selfies you’ll get to take!